What Makes a Great Foundation for Oily Skin? Is Powder, Liquid, or Cream Better? 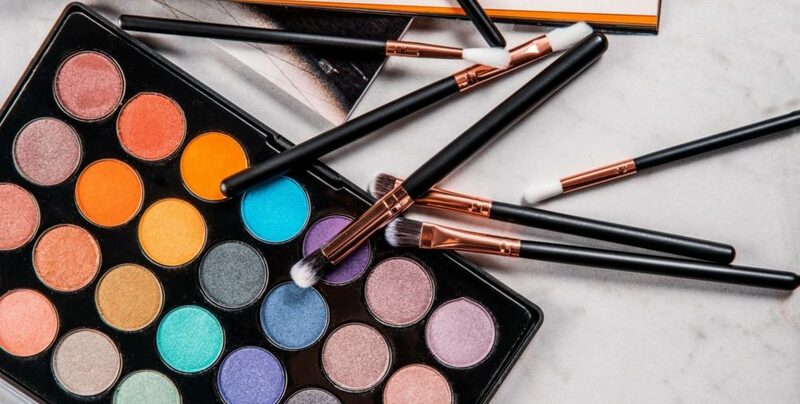 Do you aim to create a flawless makeup look? The right base is essential. Start by selecting a great foundation to achieve your perfect look. 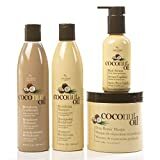 There are a variety of formulas to choose from, such as liquid, cream, and powder. Just as foundations offer different formulas and finishes, they also have different levels of coverage. 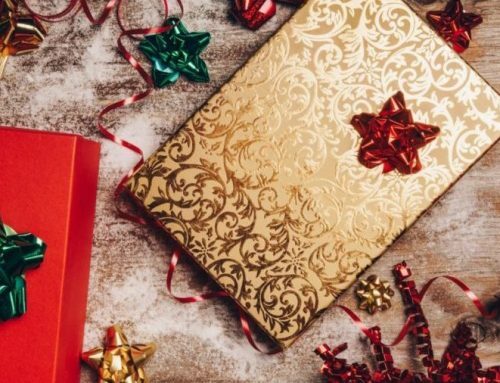 While the numerous selections can be overwhelming, they are also an opportunity to find the best options for your personal needs. The key to choosing the best foundation for you is to find one that works with your skin type. This is especially important for those with oily skin. 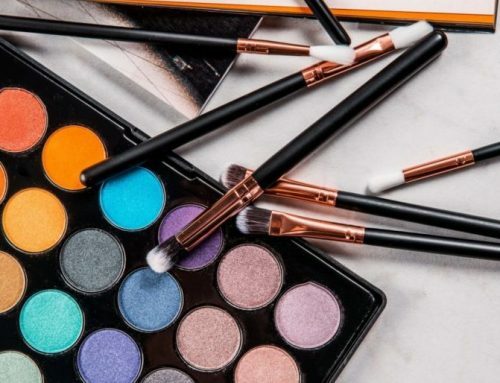 The oil that your skin produces can break up your makeup and ruin all of your hard work, destroying your morning flawless look halfway through the day. Makeup lovers with oily skin, this post is just for you. Here we are going to talk about what makes a great foundation for your skin type. We are also sharing our list of the top foundations that will help keep your oil under control and give you a perfect base for any look you want to achieve. Tip: Make sure your skin is properly prepped. Just because your skin is oily doesn’t mean that you should skip cleansing and moisturizing. When choosing a foundation for oily skin, there a few key terms that will help guide you toward products that will work for your skin. One word that is very common on makeup products for oily skin is “mattifying.” This term means that the product helps to keep your natural oil production under control and prevent shine, giving your foundation a matte finish. Foundations meant for oily skin will often help to reduce pore size as well. This is because those with oily skin usually have larger pores. When a foundation helps to reduce the appearance of pores it can claim to give a “filter” effect. This can also help to the appearance of other skin blemishes to be reduced by the same effect. Powder foundations are notoriously great for those with oily or combination skin, because of their amazing ability to combat oil without looking cakey. 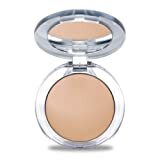 It used to be one of the “rules” of makeup that powder foundation was best for oily skin and liquid or cream was better for other skin types. Well, times have changed. Formulas have drastically changed since those days, breaking all the rules. There are now plenty of mattifying liquid foundations and hydrating powders. It is less about the type of foundation than the actual formulation. Other important factors have to do with your technique: how you prep your skin, application of the foundation, and how you set it. Tip: If you feel like you’re becoming a little oily throughout the day, try patting in your primer to the oily areas of your face. This can help to absorb excess oil, without ruining your makeup. We recommended Benefit Porefessional Primer for these touch-ups. The Fit Me Matte and Poreless Powder from Maybelline is a great drugstore powder foundation for those with oily skin. This powder will keep your shine under control and help minimize your pores all day. 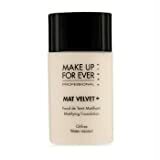 This foundation can be used alone or on top of liquid or cream foundation to give a flawlessly matte finish. Tip: Make sure your skin is ready for foundation. After properly cleansing and moisturizing, do not forget to prime. This will add an extra layer to help control excess oil. Check out our post on the best primers for oily skin. This long-wearing, oil controlling foundation from Estee Lauder is a favorite in the makeup community. With proven 24-hour staying power, this light-weight and comfortable foundation will last from morning until night. It has a matte finish with medium to full coverage. 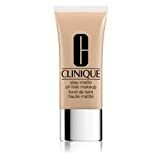 This is a must for your makeup collection if you find your current foundation isn’t holding up all day. If you are looking for a BB cream to help control your natural oils, protect you from the sun, and give you a bit of coverage, this product is for you. This BB Blur from La-Roche Posay will give you a natural finish to reduce the size of pores and help hide blemishes. 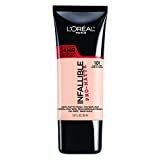 This is a great product for an every day “no makeup” look, while still keeping your skin matte. This drugstore foundation will help to give you a flawless appearance while keeping any excess oil under control. 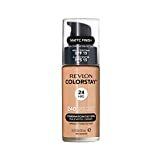 The formula used in the Revlon ColorStay is meant to be long-wearing and resists normal transfer. It also comes in a variety of colors, making it easy to find your perfect match. The Infallible Pro-Matte will give you a beautiful semi-matte finish that lasts you all day. The secret Shine Defy Blotting Spheres in the formula keeps sweat and oil away. This lightweight, medium coverage foundation is comfortable for all-day wear. Kat Von D’s Lock-It Tattoo Foundation provides flawless full-coverage with a matte finish. The long-wearing formula lasts all day and is highly pigmented to cover even the most stubborn blemishes. This foundation not only stops shine but also provides a flawless canvas for any makeup look. Tip: Keep blotting papers in your bag to quickly absorb excess oily easily, without disturbing the rest of your makeup. Blotting papers are much easier to throw in your bag than a powder and brush. We recommend these blotting papers from Palladio. This foundation does exactly what it says, stays matte all day. It controls your shine, absorbs excess oil, and helps to reduce the appearance of sweat. It is even tested to stand up to high heat and humidity. This is the perfect addition to your makeup bag for your next beach getaway. Pur Minerals provides great coverage with a lightweight feeling. This pressed powder gives you a beautifully flawless complexion. It contains skincare ingredients to keep your skin looking great even after you have removed your makeup for the day. This foundation is a great choice for those with combination oily skin because it absorbs excess oil and helps to hydrate dry areas. 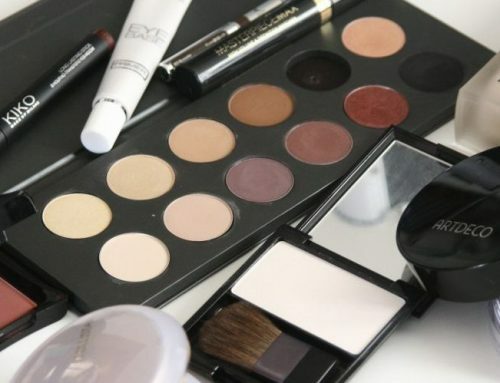 What is there not to love about makeup that also helps to improve your skin? This foundation from Make Up For Ever seems to do it all. It controls shine, is highly pigmented, water resistant, and long wearing. This beautiful foundation has adjustable coverage that can go from a light, every day look to a glamorous full night out. It is the perfect versatile foundation to add to your collection. 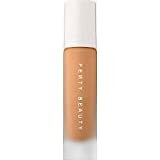 Fenty Beauty has taken the makeup world by storm with this amazing foundation formula that comes in 40 shades. This soft matte, oil-free foundation helps to instantly give you a blurred effect, pretty much giving you a real-life filter. It also helps to reduce pores, control shine, and resist sweat. No wonder this foundation is so popular. Tip: Even when you are using a mattifying foundation, that doesn’t mean that you can’t glow. To add back a healthy glow, strategically place highlighter on to the high points of your face. This will keep your oil under control, but still allow you to a healthy dew that you control. 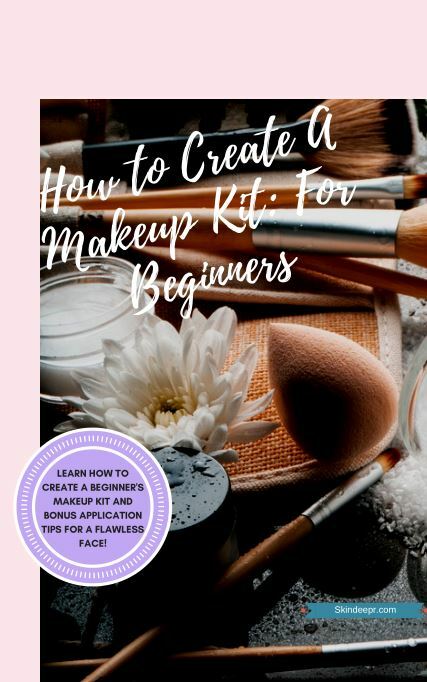 Now that you know all these foundations tips and tricks for oily skin, you have the tools you need to create a beautiful, flawless base. So beautiful, what foundation will you add to your makeup bag?